For other uses, see Washington Park (disambiguation), Washington Square (disambiguation), and Washington Square Park (disambiguation). Washington Square Park is a 9.75-acre (39,500 m2) public park in the Greenwich Village neighborhood of Lower Manhattan, New York City. One of the best known of New York City's 1,900 public parks, it is a landmark as well as a meeting place and center for cultural activity. It is operated by the New York City Department of Parks and Recreation. The park is an open space, dominated by the Washington Square Arch at the northern gateway to the park, with a tradition of celebrating nonconformity. The park's fountain area has long been one of the city's popular spots for residents and tourists. Most of the buildings surrounding the park now belong to New York University, but many have at one time served as homes and studios for artists. Some of the buildings have been built by NYU while others have been converted from their former uses into academic and residential buildings. 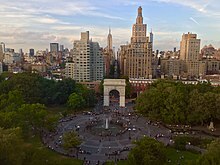 An aerial view of Washington Square Park and the start of Fifth Avenue, as seen from New York University's Kimmel Center on Washington Square South. Located at the foot of Fifth Avenue, the park is bordered by Washington Square North (Waverly Place east and west of the park), Washington Square East (University Place north of the park), Washington Square South (West 4th Street east and west of the park), and Washington Square West (MacDougal Street north and south of the park). While the park contains many flower beds and trees, little of the park is used for plantings due to the paving. The two prominent features are the Washington Square Arch and a large fountain. It includes children's play areas, trees and gardens, paths to stroll on, a chess and scrabble playing area, park benches, picnic tables, commemorative statuary and two dog runs. Those commemorated by statues and monuments include George Washington; Italian patriot and soldier Giuseppe Garibaldi, commander of the insurrectionist forces in Italy's struggle for unification; and Alexander Lyman Holley, a talented engineer who helped start the American steel industry after the invention of the Bessemer process for mass-producing steel. The New York City Police Department operates security cameras in the park. The New York University Department of Public Safety also keeps a watch on the park, and the city parks department has security officers who sometimes patrol the park. The area has a low crime rate in the "safest big city in the United States." The land was once divided by a narrow marshy valley through which Minetta Creek (or Brook) ran. In the early 17th century, a Native American village known as Sapokanican or "Tobacco Field" was nearby. By the mid-17th century, the land on each side of the Minetta was used as farm land by the Dutch. The Dutch gave the land, then outside the city limits (Wall Street) to Angolan residents of the colony, intending for their plots and settlement to serve as a buffer zone to hostile Native Americans outside the settlement. In 1643, a group of “half-freed” slaves and elders such as Domingo Anthony, Manuel Trumpeter and Catalina Anthony, received land grants to build and maintain farms in the areas containing and surrounding Washington Square Park. The families who received the land were no longer slaves, but had to give a portion of the profits they received from the land to the Dutch West India Company and pay annual land fees. Their children would be born as slaves, rather than free. The area became the core of an early African American community in New York, then called the Land of the Blacks and later "Little Africa". Among those who owned parcels in what is now Washington Square Park was Paulo D'Angola. It remained farmland until April 1797, when the Common Council of New York purchased the fields to the east of the Minetta (which were not yet within city limits) for a new potter's field, or public burial ground. It was used mainly for burying unknown or indigent people when they died. But when New York (which did not include this area yet) went through yellow fever epidemics in the early 19th century, most of those who died from yellow fever were also buried here, safely away from town, as a hygienic measure. A legend in many tourist guides says that the large elm at the northwest corner of the park, Hangman's Elm, was the old hanging tree. However, research indicates the tree was on the side of the former Minetta Creek that was the back garden of a private house. Records of only one public hanging at the potter's field exist. Two eyewitnesses to the recorded hanging differed on the location of the gallows. One said it had been put up at a spot where the fountain was prior to 2007 park redesign. Others placed the gallows closer to where the arch is now. However, the cemetery was closed in 1825. To this day, the remains of more than 20,000 bodies rest under Washington Square. Excavations have found tombstones under the park dating as far back as 1799. In 1826, the city bought the land west of Minetta Creek, the square was laid out and leveled, and it was turned into the Washington Military Parade Ground. Military parade grounds were public spaces specified by the city where volunteer militia companies responsible for the nation's defense would train. The streets surrounding the square became one of the city's most desirable residential areas in the 1830s. The protected row of Greek Revival style houses on the north side of the park remains from that time. In 1849 and 1850, the parade ground was reworked into the first park on the site. More paths were added and a new fence was built around it. In 1871, it came under the control of the newly formed New York City Department of Parks, and it was redesigned again, with curving rather than straight secondary paths. In 1889, to celebrate the centennial of George Washington's inauguration as president of the United States, a large plaster and wood Memorial Arch was erected over Fifth Avenue just north of the park. The temporary plaster and wood arch was so popular that in 1892, a permanent Tuckahoe marble arch, designed by the New York architect Stanford White, was erected, standing 77 feet (23 m) and modeled after the Arc de Triomphe, built in Paris in 1806. During the excavations for the eastern part of the arch, human remains, a coffin, and a gravestone dated to 1803 were uncovered 10 feet (3.0 m) below ground level. The first fountain next to the arch was completed in 1852 and replaced in 1872. In 1851, it was described as having "a very large circular basin, with a central jet and several side jets." A story on the completion of the fountain appeared in the first edition of the New-York Daily Times, which would eventually become the New York Times. The monument to Giuseppe Garibaldi was unveiled in 1888. In 1918, two statues of George Washington were added to the north side. Robert Moses became the parks commissioner in 1934. He embarked on a crusade to fully redesign the park, and local activists began an opposing fight that lasted three decades. In 1934, Robert Moses had the fountain renovated to also serve as a wading pool. In 1952, Moses finalized plans to extend 5th Avenue through the park. He intended to eventually push it through the neighborhood south of the park, as part of an urban renewal project. Area residents, including Eleanor Roosevelt, opposed the plans. The urbanist Jane Jacobs became an activist and is credited with stopping the Moses plan and closing Washington Square Park to all auto traffic, but Jacobs, in her book The Death and Life of Great American Cities, praised another local advocate in the fight against park traffic, Shirley Hayes: "[Hayes and the Washington Square Park Committee] advocated eliminating the existing road, that is, closing the park to all automobile traffic – but at the same time, not widening the perimeter roads either. In short, they proposed closing off a roadbed without compensating for it." Hayes, former Chairman of the Washington Square Park Committee and member of the Greenwich Village Community Planning Board, a local resident and mother of four sons, started a public outcry for the park when large apartment buildings were raised on one of its borders. When then-Manhattan borough president Hulan E. Jack suggested an elevated pedestrian walkway over a four-lane road through the park, Ms. Hayes initiated "Save the Square! ", a seven-year battle to keep automobiles out of the quiet area. Though several different proposals were given for a roadway in the park, Hayes and her followers rejected them all. Seeking to "best serve the needs of children and adults of this family community," Hayes in turn presented her own proposal: 1.75 acres (700 m2) of roadway would be converted to parkland, a paved area would be created for emergency access only, and all other vehicles would be permanently banned from the park. This plan received widespread support, including that of then-Congressman John Lindsay, as well as Washington Square Park West resident Eleanor Roosevelt. After a public hearing in 1958, a "ribbon tying" ceremony was held to mark the inception of a trial period in which the park would be free of vehicular traffic. In August 1959, the efforts of Ms. Hayes and her allies paid off; from that time forward Washington Square Park has been completely closed to traffic. A plaque commemorating her tireless crusade can be seen in the park today. Since around the end of World War II, folksingers had been congregating on warm Sunday afternoons at the fountain in the center of the park. Tension and conflicts began to develop between the bohemian element and the remaining working-class residents of the neighborhood. The city government began showing an increasing hostility to the use of public facilities by the public and, in 1947, began requiring permits before public performances could be given in any city park. In the spring of 1961, the new parks commissioner refused a permit to the folksingers for their Sunday afternoon gatherings, because "the folksingers have been bringing too many undesirable [beatnik] elements into the park." On April 9, 1961, folk music pioneer Izzy Young, owner of the Folklore Center—who had been trying to get permits for the folksingers—and about 500 musicians and supporters gathered in the park and sang songs without a permit, then held a procession from the park through the arch at Fifth Avenue, and marched to the Judson Memorial Church on the other side of the park. At about the time the musicians and friends reached the church, the New York City Police Department Riot Squad was sent into the park, attacked civilians with billy clubs, and arrested 10 people. The incident made the front pages of newspapers as far away as Washington, DC. The New York Mirror initially reported it as a "Beatnik Riot", but retracted the headline in the next edition, although tensions remained for a while. In December 2007, the New York City Department of Parks and Recreation began construction on a US$16 million project to redesign and refurbish Washington Square Park. Changes to the park include moving the fountain off center to improve its visual alignment with the arch when viewed from above, replacing the perimeter fence with a taller, more intimidating fence, and flattening and shrinking once and for all the central plaza - the park's politically contested gathering space. The plan also called for felling dozens of mature trees and installing ornamental water plumes in the fountain. A spectrum of opponents charged the mayor variously with privatizing the park and with social engineering park use, as part of a broader web of speculation schemes threatening nearby South Village and East Village communities and architecture. Five lawsuits were filed to challenge the parks department's renovation plans. In July 2006, New York County Supreme Court Justice Emily Jane Goodman enjoined any renovation work on the fountain or fountain plaza area, pending further review of the plans by the local community board, the New York City Landmarks Preservation Commission, and the Art Commission, stating that the parks department had intentionally misrepresented the project in a scheme to secure its approval. The ruling was reversed on appeal. Another lawsuit challenging the art commission's approval of the plan was dismissed. Two more lawsuits questioning the environmental review of the renovation project were heard in 2007 by the New York County Supreme Court, then dismissed. 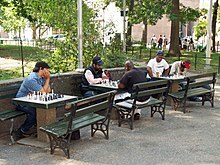 Upon the completion of phase one of the park's renovation on May 22, 2009, the Coalition for a Better Washington Square Park, a private organization, began raising money to "hire off-duty cops and maintenance workers to patrol the park" by the summer of 2010. On June 2, 2011, the eastern half of the park was reopened to the public, leaving only the park's southwest corner under construction. In mid-August 2012, the new granite benches heated up to 125°F in the sun, seemingly vindicating community members who had charged that the renovations were primarily to discourage public use of the park. Washington Square has long been a hub for politics and culture in New York City. The presence of street performers has been one of the defining characteristics of Washington Square Park. For many years, people visiting the park have mingled with the buskers, performers, musicians, and poets. Because of a change in policy on a 2010 rule that involved artists, the new ruling that was to come in on May 8, 2013, would involve entertainers. This could mean that performers could be fined $250 for the first offense and up to $1,000 for further violations. The 2010 rule on which the 2013 ruling was based stated that artists could not sell within 50 feet of a monument or five feet from any bench or fence. In 1834, New York University decided to use prison labor to dress the stone for its new building, across from the park, as prison labor from Sing Sing was cheaper than hiring local stonemasons. This, the stonecutters of the city said, was taking the bread out of their mouths. They held a rally in Washington Square Park, and then held the first labor march in the city. That turned into a riot, and the 27th New York regiment was called out to quell the stonecutters. The regiment camped in Washington Square for four days and nights until the excitement subsided. New York University continued their use of prison labor. In 1912, approximately 20,000 workers (including 5,000 women) marched to the park to commemorate the Triangle Shirtwaist Factory fire, which had killed 146 workers the year before. Many of the women wore fitted tucked-front blouses like those manufactured by the Triangle Shirtwaist Company. This clothing style became the working woman's uniform and a symbol of female independence, reflecting the alliance of labor and suffrage movements. Over 25,000 people marched on the park demanding women's suffrage in 1915. In 1888, Robert Louis Stevenson, visiting the U.S. to seek medical help for his battle with consumption, talked to Mark Twain in the park. In the years before and after World War I, the park was a center for many American artists, writers, and activists, including the photographer André Kertész, who photographed the square during winter. Later, the park was a gathering area for the Beat generation, folk, and hippie movements in the 1950s and 1960s; in 1958, musician Buddy Holly, a nearby resident of Greenwich Village, spent time in the park both listening to people play and helping guitarists with musical chords. In the mid-1960s, His Divine Grace A. C. Bhaktivedanta Swami Prabhupada sat beneath a tree in the park and chanted Hare Krishna to the people there. On September 27, 2007, Democratic Presidential candidate Barack Obama held a rally at Washington Square; 20,000 people registered for the event, and the crowds overflowed past security gates set up as a cordon. The New York Times described the rally "as one of the largest campaign events of the year." Washington Square is the setting of New York native Henry James' novel, Washington Square. The park appears in a pivotal scene in the 1999 film The Astronaut's Wife. The park was featured extensively in the 2007 film I Am Legend. The protagonist, Dr. Robert Neville, played by Will Smith, lived directly across the street from the park. It was used as a major action piece, especially in the last scenes of the film. Washington Square is the titular park in the 1967 Jane Fonda and Robert Redford vehicle Barefoot in the Park (film); taking its title from the climatic scene, where Corie says Paul is so uptight, that he won't even just walk 'barefoot in the park' with her. Many scenes shot in the park in the film August Rush with Robin Williams and Freddie Highmore were shot in the park. Highmore, playing the titular character August Rush, a musical prodigy, basks in the park under the watchful eye of the Fagin-like Williams. The park scene in the 1995 film Kids took place at Washington Square Park. Built-in outdoor chess tables on the southwest corner encourage outdoor playing along with throngs of watchers (in his youth, Stanley Kubrick was a frequent player). These tables were featured in the films Searching for Bobby Fischer (1993) and Fresh (1994). The Washington Square tables form the cornerstone of what is called Manhattan's "chess district", as the area around the park (Thompson Street, between West 3rd Street and Bleecker Street) has a number of chess shops, the oldest being the Village Chess Shop, which was founded in 1972, but closed in November 2012. The park was also the starting line during the premiere of the 30th season of The Amazing Race. A 1958 Jane-Jacobs-led demonstration against Robert Moses' plans for the park is featured in a 2017 episode of the Amazon series, The Marvelous Mrs. Maisel. The park served as a battleground for Iron Man, Spider-Man, and Cull Obsidian at the beginning of the movie Avengers: Infinity War. ^ a b c "Washington Square Park Highlights : NYC Parks". Nycgovparks.org. Retrieved March 5, 2016. ^ "KELLY'S HEROES". Archived from the original on October 17, 2006. Retrieved August 25, 2006. ^ "Washington Square Park Conservancy". ^ "Washington Square Park, in the heart of Greenwich Village - EC New York Blog". EC New York Blog. 2011-08-22. Retrieved 2016-10-12. More information can be found at the exhibit "Slavery in New York" at the New-York Historical Society of Manhattan. ^ a b "Washington Square Park Council". Washington Square Park Council. Archived from the original on December 13, 2014. Retrieved March 5, 2016. ^ Sulzberger, A. G. "Gravestone From 1799 Is Found in Washington Square Park", The New York Times, October 28, 2009. Accessed April 14, 2016. ^ "New York Architecture Images-1-3 Washington Square North". Nyc-architecture.com. Retrieved March 5, 2016. ^ "Architectural Homage". Teachinghistory.org. Retrieved March 5, 2016. ^ Unkown (18 September 1851). "New York City". New-York Daily Times (VOL. 1.....NO. 1.). Henry Jarvis Raymond and George Jones. Retrieved 24 November 2017. ^ Jacobs, Jane (1961). The Death and Life of Great American cities, p.471. Modern Library, New York. ISBN 0-679-60047-7. ^ "Ted White: Balladeers & Billy Clubs". Ftldesign.com. Retrieved March 5, 2016. ^ "Matter of Greenberg v City of New York (2007 NY Slip Op 01943)". Retrieved March 5, 2016. ^ Edroso, Roy (June 22, 2009). "Washington Square Park to Get Private Security Force". The Village Voice. Archived from the original on June 23, 2009. Retrieved May 22, 2010. ^ "Hot stuff! Park benches are unfit to sit, as they hit 125 °F". The Villager. August 16, 2012. ^ a b "WSN : Park performers' to lose stage in Washington Square". Nyunews.com. May 1, 2013. Retrieved March 5, 2016. 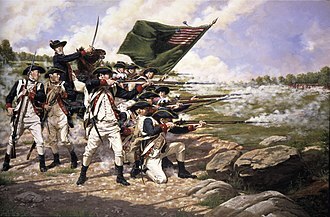 ^ "The Great Riots of New York, 1712 to 1873 by Joel Tyler Headley – Free Ebook". 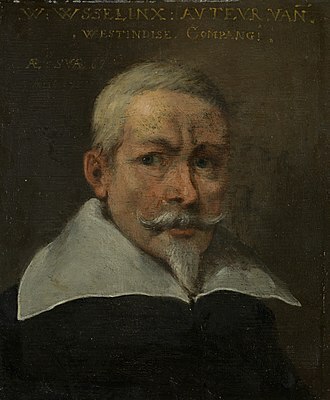 Gutenberg.org. November 1, 2004. Retrieved March 5, 2016. ^ Kerns, William (August 15, 2008). "Buddy and Maria Elena Holly married 50 years ago". Lubbock Avalanche-Journal. Retrieved February 2, 2009. ^ Jeff, Zeleny (September 28, 2007). "Obama Distances Himself From Clinton, on Her Turf". The New York Times. Retrieved December 18, 2007. Mr. Obama's aides said more than 20,000 people registered for the event through the campaign's Web site. While it was impossible to determine even a reliable attendance estimate, a view from the vantage point of an elevated lift seemed to reveal the gathering as one of the largest campaign events of the year. ^ Jeremiah Moss (November 7, 2012). "Jeremiah's Vanishing New York: Village Chess Shop". Vanishingnewyork.blogspot.com. Retrieved March 5, 2016. ^ "Big Brother 19's Jessica And Cody Bring Their Showmance To The Amazing Race - CBS.com". CBS. Retrieved 2017-10-02. 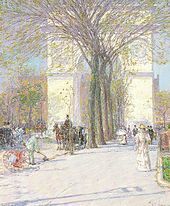 Wikimedia Commons has media related to Washington Square Park. The R Broadway Local is a rapid transit service in the B Division of the New York City Subway. Its route emblem, or bullet, is colored sunflower yellow since it uses the BMT Broadway Line in Manhattan, the service that became the R was the BMT2. 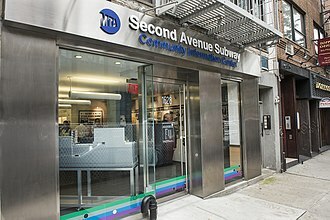 When it entered service on January 15,1916, it ran between Chambers Street on the BMT Nassau Street Line and 86th Street, using the Manhattan Bridge to cross the East River, service on the BMT Broadway Line began exactly two years on January 15,1918. On July 10,1919 service may have extended to 57th Street. The Montague Street Tunnel opened on October 1,1920, and at time it took its current shape. Bay Ridge–95th Street station opened on October 31,1925, during this time, rush-hour specials to Chambers Street were added and removed, only to be added again. At one time, including 1931, additional midday service operated local between 57th Street and Whitehall Street–South Ferry, the 2 used the Nassau Street Loop during rush hours, entering Manhattan via the Manhattan Bridge or Montague Street Tunnel and leaving via the other. On June 29,1950, special rush hour trains began running between Bay Ridge–95th Street and Chambers Street via the side of the Manhattan Bridge and/or the Montague Street Tunnel. This was discontinued two years later, on January 1,1961, the northern terminal was relocated to its current location at Forest Hills–71st Avenue, via the BMT 60th Street Tunnel Connection, which is known as the 11th Street Cut. Night and weekend RR trains still terminated at 57th Street in Manhattan, in the winter of 1960–1961, letters started to appear on the RR with the introduction of the R27s, which featured it on roll signs. The route was known as the Fourth Avenue Local via Tunnel, on November 27,1967, the day after the IND Chrystie Street Connection opened, the RR was moved back to Astoria–Ditmars Boulevard on the BMT Astoria Line. The Nassau Street specials were through-routed from Bay Ridge – 95th Street to 168th Street in Jamaica as RJ, under the first color scheme, RR was colored green and RJ was red. In the original Chrystie Street routing plans, the TA planned to eliminate the RR service. The Washington Square Arch is a marble triumphal arch built in 1892 in Washington Square Park in the Greenwich Village neighborhood of Lower Manhattan in New York City. It celebrates the centennial of George Washingtons inauguration as President of the United States in 1789, Washington Square Arch, constructed of white Tuckahoe marble, was modeled by Stanford White on the Arc de Triomphe, built in 1806, in Paris. The piers stand 30 feet apart and the opening is 47 feet high. The iconography of the Arch centers on images of war and peace, on the frieze are 13 large stars and 42 small stars interspersed with capital Ws. The spandrels contain figures of Victory, the inscription on the attic story reads, Let us raise a standard to which the wise and the honest can repair. The event is in the hand of God, the north side of the eastern pier bears the sculpture George Washington as Commander-in-Chief, Accompanied by Fame and Valor by Hermon A. MacNeil in which the President is flanked by Fame and Valor. The western pier has George Washington as President, Accompanied by Wisdom and Justice by A. Stirling Calder with flanking Justice, in the latter sculpture, a hand holds a book bearing the Latin phrase Exitus Acta Probat. These sculptures are commonly referred to as Washington at War and Washington at Peace and these figures and most of the rest of the carving on the arch was performed by the Piccirilli Brothers. In 1889, a plaster and wood memorial arch was erected over Fifth Avenue just north of Washington Square Park by local businessman. Stewart lived at 17 Washington Square North and he collected $2,765 from his friends to finance the work, the temporary arch was so popular that three years the permanent stone arch, designed by architect Stanford White, was erected. During the excavations for the pier, human remains, a coffin. The Arch was dedicated in 1895, in 1918, two statues of Washington were added to the north side. Formerly, the Washington Square Arch was extensively defaced with spray-painted graffiti and it was cleaned and restored in the 1980s. Macdougal Street is a one-way street in the Greenwich Village and SoHo neighborhoods of Manhattan, New York City. The street is bounded on the south by Prince Street and on the north by West 8th Street, traffic on the street runs southbound. Macdougal Street is named for Alexander McDougall, a merchant and Revolutionary War military leader, the Alley runs east off Macdougal Street in the block between West 8th Street and Waverly Place/Washington Square North. MacDougal Street has been called the most colorful and magnetic venue for tourists on an outing in the Village. It has been the subject of songs and other forms of artistic expression. Macdougal Street Nos. 74–96 between Houston and Bleecker Streets are houses of the MacDougal-Sullivan Gardens Historic District, which were built c.1844 in the Greek Revival style. However, the houses deteriorated over time until they were bought by William Sloane Coffin in 1920, joannes and Maxwell Hyde in Colonial Revival style in 1921, their rear yards were combined with those of the houses behind them on Sullivan Street to make a common garden. No.77 is the clubhouse of the New York Rifle Club, Cafe Dante, at No.81 features a giant photo mural of Florence. At the corner of Macdougal and Bleecker Street, at No, the cafe is featured on the cover of Fred Neils debut folk-rock album Bleecker & MacDougal. Bob Dylan bought an apartment in 1969 at No.94, No.99 was home of 99 Records, a progressive music and fashion store owned by Gina Franklin and Ed Bahlman. 99 Records released 1980s club hits by Liquid Liquid, ESG, minetta Tavern at No.113 is a trattoria/bar which has seen such regulars as E. E. Cummings, Joe Gould, Ernest Hemingway, Eugene ONeill, Ezra Pound and many others. The bar Kettle of Fish opened in 1959 at No,114, moving in 1986 to the space previously occupied by Gerdes Folk City. Bob Dylan had his first New York City gig at Cafe Wha. at No.115 and this is where Jimi Hendrix played some early gigs. No.116 used to be The Gaslight Cafe, where Ray Bremser, Gregory Corso, Bob Dylan, Lawrence Ferlinghetti, Allen Ginsberg, LeRoi Jones, Jack Kerouac, Dave Van Ronk, Bob Dylan lived there for a time. The W Broadway Local is a rapid transit service of the New York City Subways B Division. Its route emblem, or bullet, is colored sunflower yellow since it uses the BMT Broadway Line in Manhattan, the W operates only on weekdays. Some W trains operate to/from Gravesend-86th Street due to capacity issues on the lower level at City Hall. The W is internally staffed and scheduled as part of the N, introduced on July 22,2001, the W initially ran until June 25,2010, when it was eliminated due to the Metropolitan Transportation Authoritys financial crisis. The MTA restored the route on November 7,2016, using its original emblem and 2004–2010 routing, the W was originally conceived as an extra Broadway Line local service running on the Astoria and Broadway lines to Whitehall Street. This service was essentially a variant of the N route, which in the 1970s and 1980s ran express between Queens and Brooklyn, with trains running local between Queens and Whitehall Street. However, reconstruction of the Manhattan Bridge between 1986 and 2004 forced the N, which normally ran express on the Broadway Line and on the Bridge and this service change precluded W local service from running as envisioned. The W bullet appeared on signs as a yellow diamond bullet. The W appeared on the signs of the R44s and R46s with any route. 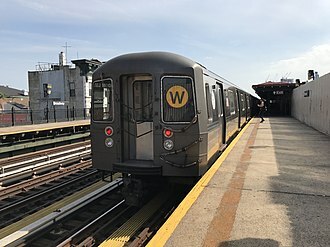 The W was introduced on July 22,2001 when the Manhattan Bridge north tracks closed for reconstruction, the Bridges south side tracks, which led to the Broadway Line, reopened after being closed since 1988. This split had already made from 1986 to 1988, when a part-time orange B only ran north of 34th Street–Herald Square on the Sixth Avenue Line. At the same time, a full-time yellow B ran from Coney Island in Brooklyn across the side of the bridge. This old pattern was restored in 2001, but instead of having two B services, the yellow B was instead named the W. This route began at Coney Island and ran up the West End Line, BMT Fourth Avenue Line, Manhattan Bridge south tracks, Broadway Line, and BMT Astoria Line to Astoria–Ditmars Boulevard. Evening service ended at 57th Street–Seventh Avenue in Manhattan, late night service at 36th Street in Brooklyn, and weekend service at Atlantic Avenue–Pacific Street in Brooklyn. The F Sixth Avenue Local is a rapid transit service in the B Division of the New York City Subway. Its route bullet is colored bright orange since it uses the IND Sixth Avenue Line in Manhattan, some rush hour trains short turn at Kings Highway due to capacity issues at Stillwell Avenue. F service officially began on December 15,1940 operating between Parsons Boulevard and Church Avenue via the Queens Boulevard, Sixth Avenue, and Culver Lines and it ran express in Queens and local in Manhattan and Brooklyn. During World War II, by January 10,1944, trains were extended to 169th Street during evenings, late nights, and Sunday mornings. Temporarily in 1948, as shown in a map from that year, the D and F service switched, with the F terminating at Second Avenue, on December 11,1950, trains were extended to the newly opened 179th Street on evenings and Sunday mornings. On May 13,1951, all trains outside of rush hour were extended to 179th Street using the tracks beyond Parsons Boulevard. On October 8,1951, trains were extended to 179th Street at all times, during rush hours F trains skipped 169th Street running via the express tracks. At other times, the F stopped at 169th Street, in 1953, the platforms were lengthened to 660 feet at 75th Avenue and Sutphin Boulevard so that F trains could run eleven car trains. The F began running eleven car trains during rush hours on September 8,1953, the extra train car increased the total carrying capacity by 4,000 passengers. On October 30,1954, the connection between the IND Culver Line and BMT Culver Line opened, with the IND taking over the elevated section, all F service began terminating at Broadway–Lafayette Street with D service entering Brooklyn via the Rutgers Street Tunnel. In addition, all except weekday daytime trains were rerouted via the tracks between Continental Avenue and Parsons Boulevard. On April 29,1956, trains were extended to Second Avenue, beginning on October 6,1957, trains terminated at 34th Street–Herald Square evenings and weekends. On November 10,1958, F service was cut back from Second Avenue, F service replaced it on the IND Culver Line. Beginning on June 16,1969 express service was modified with Kings Highway trains operating as locals along the entire route Bergen Street to Kings Highway, at the same time, all trains were rerouted via the express tracks between Continental Avenue and Parsons Boulevard in Queens. Lower Manhattan is defined most commonly as the area delineated on the north by 14th Street, on the west by the Hudson River, on the east by the East River, and on the south by New York Harbor. The Lower Manhattan business district forms the core of the area below Chambers Street and it includes the Financial District and the World Trade Center site. At the islands southern tip is Battery Park, City Hall is just to the north of the Financial District, south of Chambers Street are the planned community of Battery Park City and the South Street Seaport historic area. The neighborhood of TriBeCa straddles Chambers on the west side, at the streets east end is the giant Manhattan Municipal Building, North of Chambers Street and the Brooklyn Bridge and south of Canal Street lies most of New Yorks oldest Chinatown neighborhood. Many court buildings and other government offices are located in this area. The Lower East Side neighborhood straddles Canal, North of Canal Street and south of 14th Street are the neighborhoods of SoHo, the Meatpacking District, the West Village, Greenwich Village, Little Italy and the East Village. Between 14th and 23rd streets are lower Chelsea, Union Square, the Flatiron District, the area that would eventually encompass modern day New York City was inhabited by the Lenape people. These groups of culturally and linguistically identical Native Americans traditionally spoke an Algonquian language now referred to as Unami, European settlement began with the founding of a Dutch fur trading post in Lower Manhattan, called New Amsterdam in 1626. 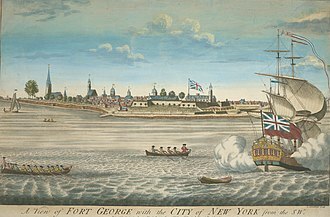 The first fort was built at the Battery to protect New Netherland, soon thereafter, most likely in 1626, construction of Fort Amsterdam began. Later, the Dutch West Indies Company imported African slaves to serve as laborers, they helped to build the wall that defended the town against English, early directors included Willem Verhulst and Peter Minuit. Willem Kieft became director in 1638 but five years was embroiled in Kiefts War against the Native Americans, the Pavonia Massacre, across the Hudson River in present-day Jersey City resulted in the death of 80 natives in February 1643. 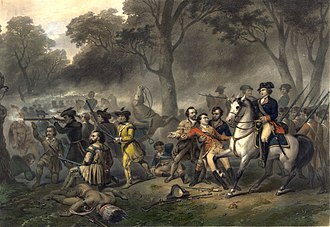 Following the massacre, Algonquian tribes joined forces and nearly defeated the Dutch, the Dutch Republic sent additional forces to the aid of Kieft, leading to the overwhelming defeat of the Native Americans and a peace treaty on August 29,1645. 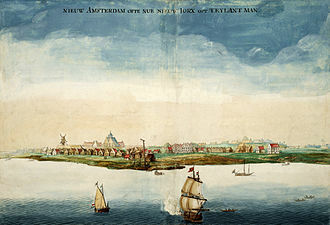 On May 27,1647, Peter Stuyvesant was inaugurated as director general upon his arrival, the colony was granted self-government in 1652, and New Amsterdam was formally incorporated as a city on February 2,1653. The first mayors of New Amsterdam, Arent van Hattem and Martin Cregier, were appointed in that year, in 1664, the English conquered the area and renamed it New York after the Duke of York. At that time, people of African descent made up 20% of the population of the city, with European settlers numbering approximately 1,500, during the mid 1600s, farms of free blacks covered 130 acres where Washington Square Park developed. The Dutch briefly regained the city in 1673, renaming the city New Orange, the new English rulers of the formerly Dutch New Amsterdam and New Netherland renamed the settlement New York. The Bessemer process was the first inexpensive industrial process for the mass-production of steel from molten pig iron before the development of the open hearth furnace. The key principle is removal of impurities from the iron by oxidation with air being blown through the molten iron, the oxidation raises the temperature of the iron mass and keeps it molten. Related decarburizing with air processes had been used outside Europe for hundreds of years, one such process has existed since the 11th century in East Asia, where the scholar Shen Kuo describes its use in the Chinese iron and steel industry. In the 17th century, accounts by European travelers detailed its possible use by the Japanese, the modern process is named after its inventor, the Englishman Henry Bessemer, who took out a patent on the process in 1856. The process was said to be discovered in 1851 by the American inventor William Kelly. The process using a basic refractory lining is known as the basic Bessemer process or Gilchrist–Thomas process after the English discoverers Percy Gilchrist and these oxides either escape as gas or form a solid slag. The refractory lining of the converter plays a role in the conversion — clay linings are used there is little phosphorus in the raw material - this is known as the acid Bessemer process. When the phosphorus content is high, dolomite, or sometimes magnesite and these are known as Gilchrist-Thomas converters, after their inventor, Sidney Gilchrist Thomas. In order to produce steel with desired properties, additives such as spiegeleisen, when the required steel had been formed, it was poured into ladles and transferred into moulds while the lighter slag was left behind. The conversion process, called the blow, was completed in approximately 20 minutes, during this period the progress of the oxidation of the impurities was judged by the appearance of the flame issuing from the mouth of the converter. The modern use of methods of recording the characteristics of the flame greatly aided the blower in controlling final product quality. After the blow, the metal was recarburized to the desired point and other alloying materials were added. New York University is a private nonprofit research university based in New York City. Founded in 1831, NYU is considered one of the worlds most influential research universities, University rankings compiled by Times Higher Education, U. S. News & World Report, and the Academic Ranking of World Universities all rank NYU amongst the top 32 universities in the world. NYU is a part of the creativity and vibrancy that is Manhattan, located with its core in Greenwich Village. Among its faculty and alumni are 37 Nobel Laureates, over 30 Pulitzer Prize winners, over 30 Academy Award winners, alumni include heads of state, eminent mathematicians, media figures, Olympic medalists, CEOs of Fortune 500 companies, and astronauts. NYU alumni are among the wealthiest in the world, according to The Princeton Review, NYU is consistently considered by students and parents as a Top Dream College. Albert Gallatin, Secretary of Treasury under Thomas Jefferson and James Madison, declared his intention to establish in this immense, a system of rational and practical education fitting and graciously opened to all. A three-day-long literary and scientific convention held in City Hall in 1830 and these New Yorkers believed the city needed a university designed for young men who would be admitted based upon merit rather than birthright or social class. On April 18,1831, an institution was established, with the support of a group of prominent New York City residents from the merchants, bankers. Albert Gallatin was elected as the institutions first president, the university has been popularly known as New York University since its inception and was officially renamed New York University in 1896. In 1832, NYU held its first classes in rented rooms of four-story Clinton Hall, in 1835, the School of Law, NYUs first professional school, was established. American Chemical Society was founded in 1876 at NYU and it became one of the nations largest universities, with an enrollment of 9,300 in 1917. NYU had its Washington Square campus since its founding, the university purchased a campus at University Heights in the Bronx because of overcrowding on the old campus. The E Eighth Avenue Local is a rapid transit service in the B Division of the New York City Subway. Its route emblem, or bullet, is vivid blue since it uses the IND Eighth Avenue Line in Manhattan, E trains serve two local stops in eastern Queens on evenings and weekends. Limited rush hour service runs express to and from 179th Street at the end of the Queens Boulevard Line. On August 19,1933, E service officially began, running between Roosevelt Avenue – Jackson Heights and the Hudson Terminal. 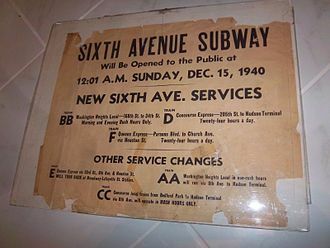 The E would not yet run express via Queens Boulevard as the IND Crosstown Line did not yet fully open until Brooklyn, on January 1,1936, the IND Sixth Avenue Line opened to East Broadway and the E was extended there. 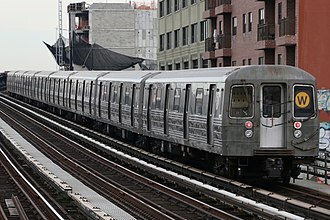 E trains no longer served stations on the Eighth Avenue Line south of West Fourth Street, E service was again extended when the Queens Boulevard Line was extended to Kew Gardens–Union Turnpike on December 31,1936, and to 169th Street on April 24,1937. E trains began running express between Continental Avenue and Queens Plaza on April 24,1937, on September 12,1938, several weekday rush hour trains began terminating at Jay Street in the morning, and a few entered service at Smith–Ninth Streets in the evening. Between 1939 and 1940, select PM E trains ran to-and-from the Horace Harding Boulevard terminal at the 1939 New York Worlds Fair, on December 15,1940, service on the entire Sixth Avenue Line began. The E was cut back to Broadway–Lafayette Street, south of that station, it was replaced by the F train. On October 24,1949 the E was extended during rush hours to Broadway – East New York running via Fulton Street Local, on December 10,1950, 179th Street opened. E service terminated there, running express between Queens Plaza and 71st Avenue and local from 71st Avenue to 179th Street, the E began running eleven car trains during rush hours on September 8,1953. The extra train car increased the carrying capacity by 4,000 passengers. Then, on October 30,1954, E trains began running to Hudson Terminal during non-rush hours, during non-rush hours, service was provided by shuttle service between Euclid and Rockaway Park or Wavecrest. On September 16,1956, rush hour E service was cut back to Euclid Avenue when Rockaway service was replaced by the A train. The early 1970s livery, using a blue base. This bus is operating in special holiday service in 2008. A typical vehicle, an MCI cruiser, used in express bus service. This example wears the livery used from 1977 until 2016. Select Bus Service fare payment center. Bessemer converter, Kelham Island Museum, Sheffield, England (2010). 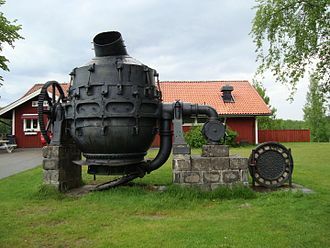 Bessemer converter at Högbo Bruk, Sandviken. 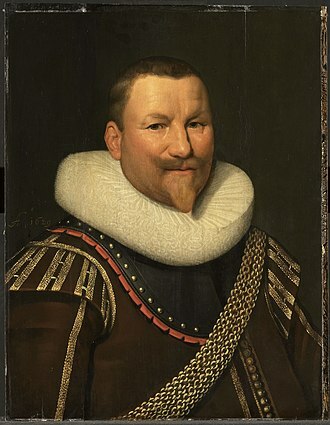 Piet Heyn, WIC admiral who captured the Spanish silver fleet in 1628. A Manhattan-bound B train of R68As at Prospect Park. Manhattan-bound B train of R68s at Kings Highway. Manhattan-bound C train of R179s at Jay Street–MetroTech. Brooklyn-bound C train of R32s at 168th Street. 168th Street-bound C train of R46s leaving 86th Street. Middle Village–Metropolitan Avenue-bound M train of R160s entering Hewes Street. A M4 bus in Midtown Manhattan along 34th Street, prior to being rerouted. An M1 bus traveling south along Fifth Avenue near Central Park. An M55 Nova Bus RTS-06 bus at its northern terminal in Midtown. Manhattan and Bronx-bound D train of R68s at Bay Parkway. An R train of R46s at Bay Ridge Avenue. Waverly Place as the northern boundary of Washington Square Park.